New Haven High School has been very blessed to have some of the best teachers, the kind of teachers every school wishes they had. Almost all of the high school teachers have been teaching at New Haven for several decades, which is not only great for the school but the community as well. The unfortunate side is that we have become attached, develop a friendship, and with some a special bond that continues through the rest of our lives and because of these bonds, it is a sad day when they teach their last class or direct their finial song. Carl Bonds is our number 5 top stories of 2011, a year that the “King” hung up his whistle and moved forward in his life, retirement. Tuesday May 10, 2011 was the day everyone had never looked forward to, but it also was a day that the community and past and present students were able to express the amount of respect and gratitude they had for Mr. Bounds. We wrote a three part serious on Mr. Bound’s career and his last performance at New Haven High School. Below is part 1 of the three part series. With the conclusion of such a historic historic evening at The New Haven Auditorium on May 10th, Aaron Bounds, son of Carl Bounds, directed the finial song of the evening. Pictured: to the left Aron Bounds and bottom right Kara Bounds. I myself was not aware of the significance to the piece of music performed. The New Haven Music Boosters with the help of Aaron, commissioned Ryan Woodhouse to compose an orchestral piece to honor Mr. Bounds. Woodhouse composed the New Haven Overture based on an old Irish tune that stood for “wearing of the green”. Tuesday May 10th, past students of Mr. Bounds emerged from the crowd with instruments in hand to help perform the New Haven Overture’s premiere performance. How fitting it was to have Carl’s son Aaron directing the performance and his daughter Kara Bounds playing the French Horn as Mr. Bounds sitting with his wife held hands and watched intently as the band performed. How it must have felt for Mr. and Mrs. Bounds to see both children performing the New Haven Overture for the first time ever. 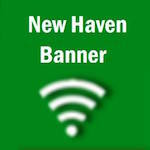 What I found to be even more amazing, is the New Haven Overture will be published and to honor Bounds's dedication, under the title it will read something along the lines; composed to Honor Carl Bounds, New Haven High School.